Well it’s safe to say that summer has been kicked off with a bang around here. 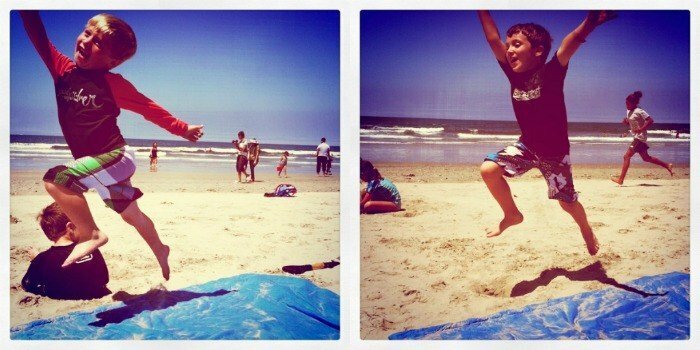 Our family from AZ has been visiting all week long and we’ve been hitting the beach…. often. These pictures of my boys make me smile, they are really living it up in the sunshine 🙂 Have I said how much I enjoy Instagram on the iPhone?! You must get it if you have an iPhone, such fun pictures. To celebrate summer, I have highlighted some of my favorite summer salads, some older as you will be able to tell from the photos (however still delicious) and some newer. At any rate, they are perfect for any summer table to cool you off. Hope everyone has a great rest of your week and weekend! Be sure to stop by tomorrow for a Big and I mean BIG giveaway! Jenny all your salads look great! 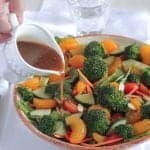 I love salads in any form..especially those with peanut sauce, or any of the GREAT and creative dressings you posted with them. YUM! Thank you Averie 🙂 Love a good summer salad! What wonderful shots of your family! 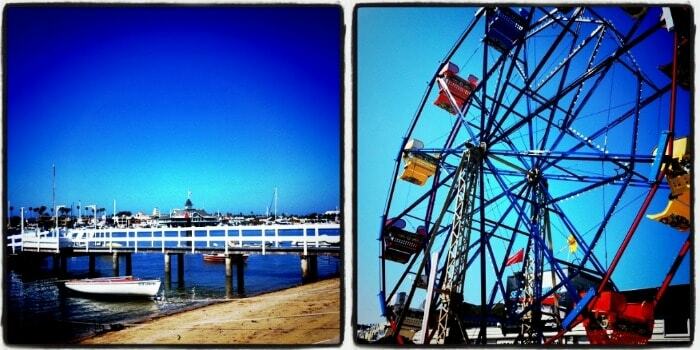 The quintessential summer photos! 🙂 Thanks for the great salad ideas. Can’t wait to try them! What a great roundup! I love summer salads! Gorgeous salads! 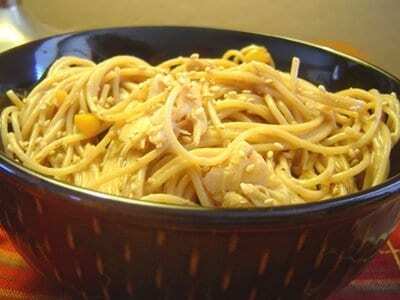 The Chicken Peanut Thai Noodles is right up my alley…I can’t wait to make it! That one is one of my very favorites!! Enjoy!! i love salads! I don’t get how some people say they are boring! you can do so much with a salad! 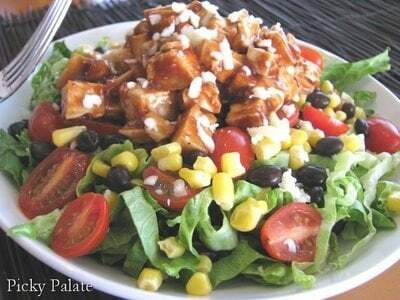 I’m loving your bbq chicken salad! sounds and looks amazing! Loving the sound of that tilapia recipe Emily!! Yum Chris, I’ve got to go check out your couscous salad!! All of these salads look amazing and I love that each has a little fiber mixed in! 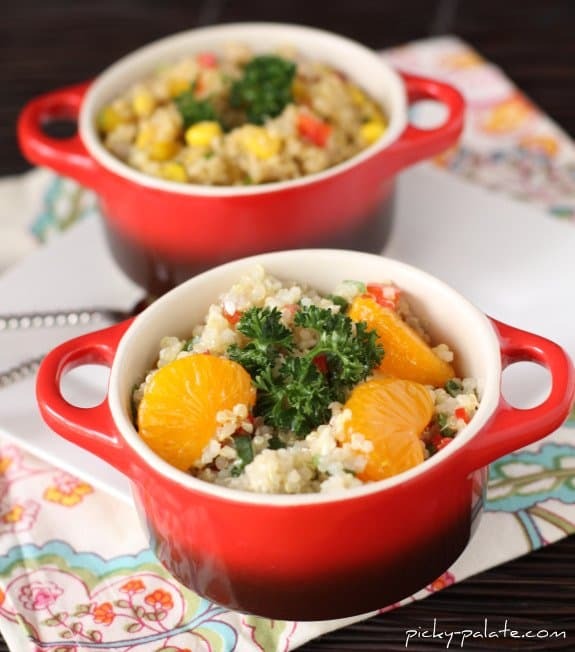 I’m not sure which is my favorite – perhaps the Feta Mandarin Asian Quinoa Salad? YUM! Oh yah, that BBQ chicken one is one of my fav’s! 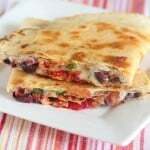 All these recipes look delicious and easy to make! 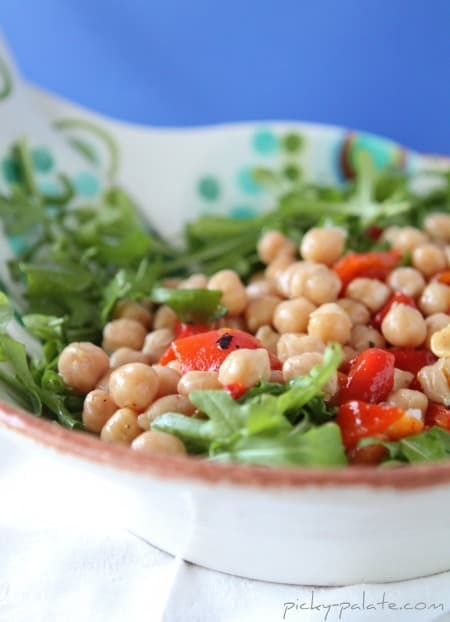 I can’t wait to try the bruschetta, chickpea, and cous-cous salad! Thank you for posting! These salads sound absolutely delicious, Jenny. Can’t wait to try them! Jenny-Your boys are so cute! We just got back from Cali last week. I could seriously sit on the beach each and every day and just watch my kids play. How fun for you guys. 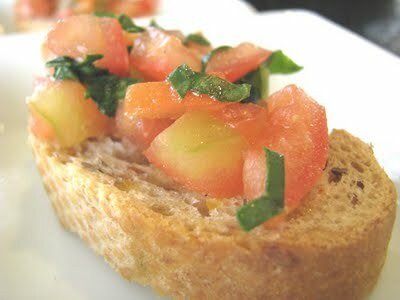 I’ve decided that it’s time for my Spritz Sister to go on the Next Food Network Star show. You would take it all girl. Tell Cullen hi. Enjoy your summer. I agree Libby, it’s so nice to just sit on the beach and watch the kids play. Glad you guys had fun!! …Lol on FN Star…no way girl!! You provided a plethora of salad recipes. Thank you, thank you! You have inspired me for the weekend! Fun! We are headed to the beach today! Oh this is such a great round up of salads! I’m a huge salad lover. Especially with quinoa. What a great list, hard to pick which one to try first. 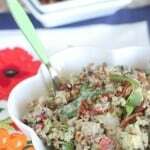 Here’s another good one with quinoa, roasted red pepper, feta, mint and almonds. 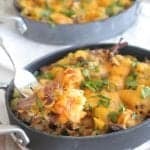 Love this idea of these fun summer dishes. 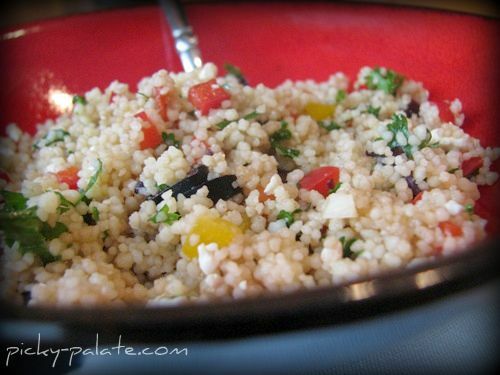 The quinoa is a great gluten-free option that I can’t wait to make. Thank you; I just found your blog and it’s wonderful! whoah this blog is great i like studying your articles. Keep up the good paintings! You already know, many individuals are looking around for this information, you could help them greatly.